Over the years, Safe+Sound Somerset has held a very special place in our hearts. The group operates a short-term residential facility and a transitional housing program for women and their children in the Hillsborough, NJ, area, provides counseling and a 24-hour domestic abuse hotline, and staffs a volunteer-run Domestic Violence Response Team. Thanks to Safe+Sound’s efforts, domestic abuse survivors have a safe, secure place to stay and receive the support they need to take the first steps toward an abuse-free life. “We are honored to receive this award from an organization that provides such unbelievable care and support for others. Safe+Sound Somerset has grown over the years, and the work they do to help those who have nowhere to turn is amazing,” said Vice President Scott Van Cleef. Todd Van Cleef, Country Classics’ president, echoed his brother’s sentiments. 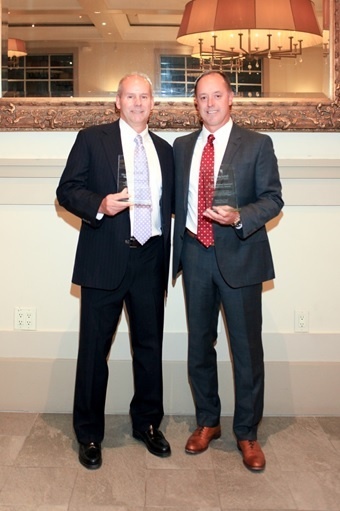 “It was a great night and a great award for our company from an organization that does so much good for so many. 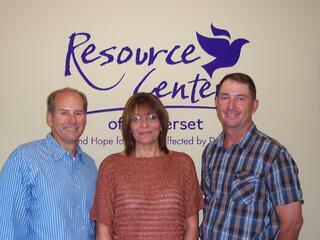 We are always happy to help Safe+Sound Somerset,” he said. In addition to providing financial support to Safe+Sound Somerset for more than 20 years, Country Classics has held donation drives to benefit the organization, supported golf outings and sponsored other events. In 2011 and 2012, we used our construction and design expertise to renovate the administration offices and Annex. The renovation converted previously unusable space into additional office space, which allowed the organization to make its programs and counseling services available at all times. Safe+Sound Somerset is just one of the New Jersey charities County Classics supports. In fact, we maintain an active presence in all of the communities in which our new home and rental communities are located. Last year, we provided furniture and an outdoor learning space for the children at Hillsborough Township’s Amsterdam Elementary School. Recently, the team built a retaining wall with railings to enhance and improve the parking lot at Hillsborough Volunteer Fire Company #3. The Amsterdam School, Hillsborough Rescue Squad, Hillsborough Fire Company, Hillsborough Rotary Club and Shannon Daley Memorial Fund also receive continual support from our company. In addition to our support of Central New Jersey organizations, we also contribute to charities in Easton, PA, the home of Country Classics at Morgan Hill and Legacy at Morgan Hill, our 55+ townhome community. Lafayette College and The Children’s Home of Easton are just two of the groups that regularly receive donations in support of their programs and services. We’ve enjoyed the privilege to support many community organizations during the 29 years that we’ve been building new homes at Country Classics at Hillsborough. Although we’ll soon be completing the final phase of the community, our commitment to Hillsborough Township remains just as strong as ever. We’re proud that we’ve been able to help so many homeowners realize their dreams by purchasing a new home in Hillsborough Township. If you’ve been considering becoming part of the Country Classics at Hillsborough community, it’s not too late to build your new home. The four-bedroom homes are available in six generously sized floor plans that can be upgraded to include a variety of thoughtful features, such as three-car garages, first-floor guest suites, morning rooms, additional bedroom suites, sunrooms, lofts and other options. Get in touch with us to learn how you can become a homeowner at Country Classics at Hillsborough.